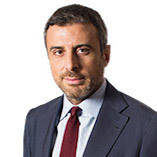 Pietro Merlino focuses on EU and Italian competition law, advising and representing Italian and international clients in abuse of dominance, cartel and restrictive practices investigations, merger control, licensing and distribution, and intellectual property matters. He appears frequently before the EU courts of law and Italian civil and administrative courts, as well as before the European Commission and the Italian Competition Authority (ICA). Over the years, he has developed a specific expertise in the application of competition rules in the pharmaceutical, energy and transport sectors as well as on the interplay between antitrust law and intellectual property rights (IPRs). Pietro lectures at various Italian universities and regularly participates as a speaker at conferences and seminars in Italy and abroad. He has authored several publications on EU and Italian competition law issues, including: the chapter "Antitrust Assessment of Co-marketing Agreements: a Diverging Approach between EU and Italy?" (co-author) in Competition and Patent Law in the Pharmaceutical Sector. An International Perspective, Kluwer Law International, 2016; "Edison: a Glimpse of Hope for Parent Companies Seeking to Rebut the Parental Liability Presumption? ", Journal of European Competition Law & Practice, 2014 (Vol.5, Issue 7); "Strategic Underinvestment as an Abuse of Dominance under EU Competition Rules" (co-author), World Competition, 2013 (Issue 4); "The Duty to Invest in the Development of Infrastructures: Some Considerations on Two Parallel Stories" (co-author), Mercato Concorrenza Regole, 2012 (Issue 2). Pietro is recognized as a leading professional in EU, regulatory and competition law in Italy by Chambers Europe, The Legal 500 EMEA and Global Competition Review as well as in healthcare and life sciences by The Legal 500 EMEA and TopLegal. Pietro joined Cleary Gottlieb Steen & Hamilton LLP in 1999 and became counsel in 2009. He worked in the firm's Brussels office from 2001 to 2003. Prior to joining Cleary, he worked at the law firm of Professor Antonio Tizzano, currently Judge and Vice-President at the Court of Justice of the European Union. Pietro graduated with honors from the Law School of the Università degli Studi di Napoli 'Federico II' in 1996 and has a Ph.D in EU competition law from the same university (2004) as well as LLM degrees from the College of Europe, Bruges (1998) and the University of Michigan Law School (1999), where he was a Fulbright scholar. Pietro has been a member of the Italian Bar (Naples) since 2000 and is admitted to plead before Italy's Supreme Court (Corte di Cassazione) and other Superior Courts. He is a native Italian speaker, is fluent in English and French, and has a basic knowledge of Portuguese.